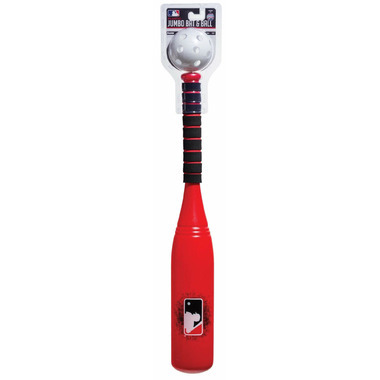 The MLB® Jumbo Plastic Bat makes learning to play ball fun! The oversized jumbo barrel makes it easier for kids to make contact with the ball. Please Note: This item comes in assorted colours. You will receive one of the following colours: red, blue or green.